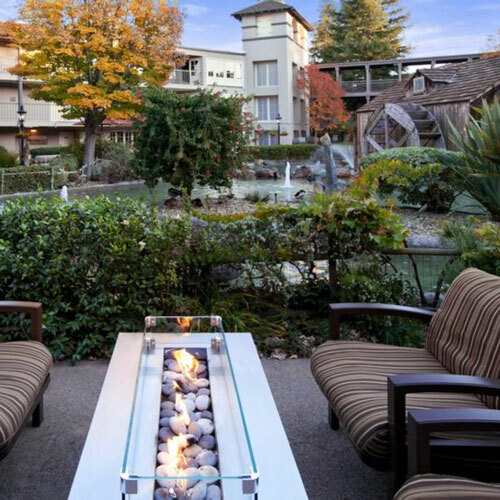 Looking for the BEST hotels in Downtown Napa? Trust Local Wally to guide you to Napa's best hotels with updated photos, descriptions and cheapest rates. Downtown Napa is a lot like Mayberry - with wine! The small town architecture is the backdrop for plenty of hotel options, from big name resorts to mom and pop run bed and breakfast inns, something for every budget. 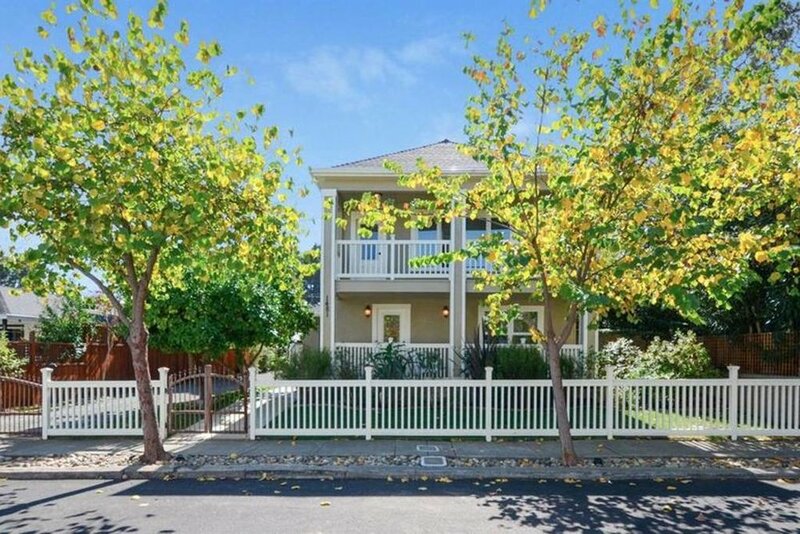 Looking for affordable Napa that doesn't compromise on location? This is it. In the past staying in downtown Napa was a compromise but that's all changed now due to the lively restaurant scene and after hours activities. When the rest of Napa Valley rolls up you can expect downtown to remain active and alive with live music, dancing, and a youthful bar scene. Great hotels, good prices, tasting rooms and fine dining nearby, Downtown Napa offers a lot of vacation bang for your buck. Don't forget to check my rates and book through me if you can as that's what keeps this site running! AirBnB? I Know a Good One! Being one of my readers has huge benefits, like getting the lowdown on my friend's AirBnB in downtown Napa. Priced less than a hotel you get a private entrance, three full size rooms, private bath with tub, and lots of friendly hospitality. Walk to restaurants, no parking hassles, and best yet it's owned by the gal who also owns the Priority Wine Pass company so you get as much free advice as you want. Tell her Local Wally sent you! I like hotels with a bit of personality, more than just a place to crash at the end of the day. But lately the big resorts have gotten so expensive that a weekend stay costs more than my mortgage. That's why I love The River Terrace Inn. You get nearly the same experience as the big resorts - the pool, the contemporary rooms, the wine bar in the lobby - but at a fraction of the price. Boutique hotel amenities, updated furnishings, nice and fresh. There's breakfast in the morning or take the short walk along the riverfront to the Oxbow Market, a food emporium with plenty of dining options - hint: Model Bakery for homemade English Muffins. Across the street from the hotel you'll find wine tasting bars and dining is but a few blocks away. The Wine Train station is also nearby - I'm telling you, this is a great location! Rooms are spacious with balconies and windows that actually open so you don't have to listen to an air conditioner all night. Some rooms have spa tubs, all have a sofa area and Kuerig coffee makers. Large lobby downstairs houses a bar and there's a pool facing the river as well as exercise room. In case you couldn't tell, I really love the River Terrace Inn. 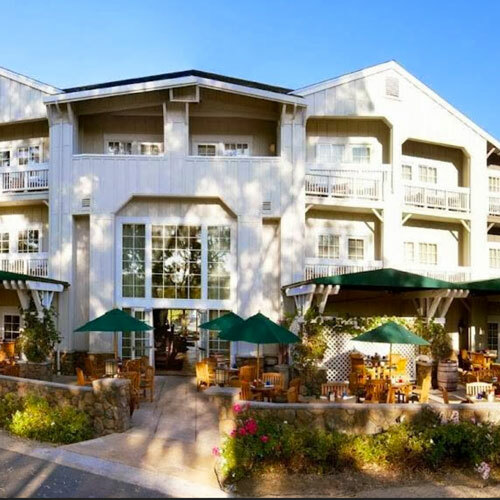 OK, it isn't as fancy as some of the big resorts in Yountville but it's also typically not as expensive. 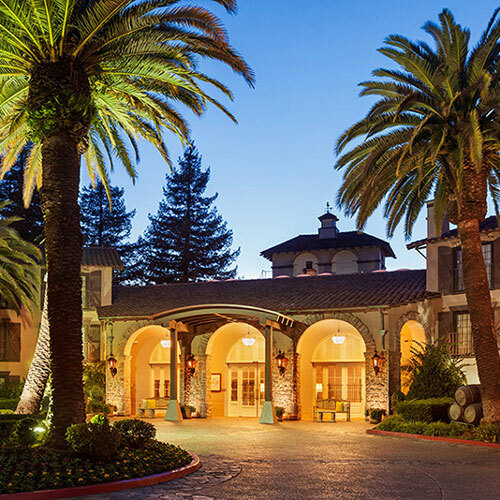 Save a bit of money on your hotel and stay another day in Napa for more wine tasting! 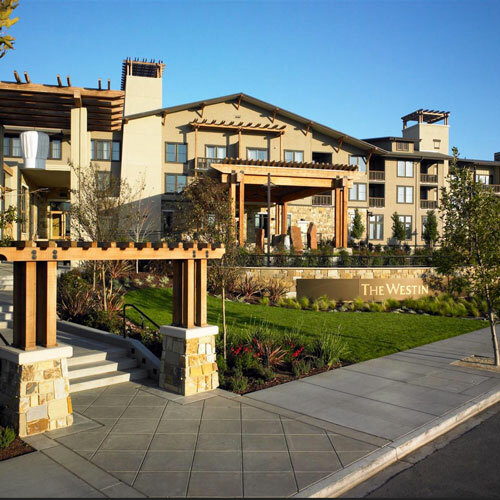 For those looking for a full featured resort in the Downtown Napa area, look no further than the Westin Verasa. All rooms feature a kitchenette and range from traditional to two bedroom suites with enough amenities to make you feel right at home. 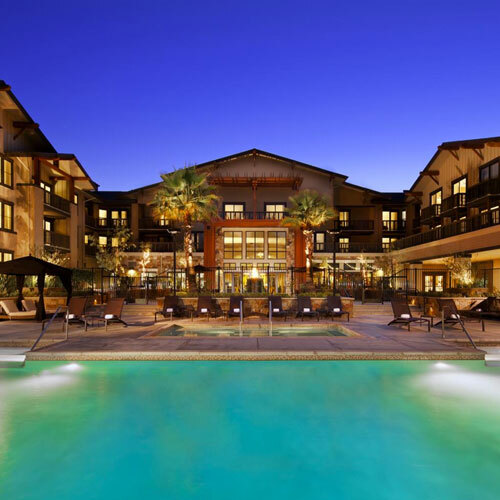 Giant pool, full spa service, and one of Napa's finest restaurants La Toque is right on the premises. If the deluxe resort setting is what you are after, this is your hotel. 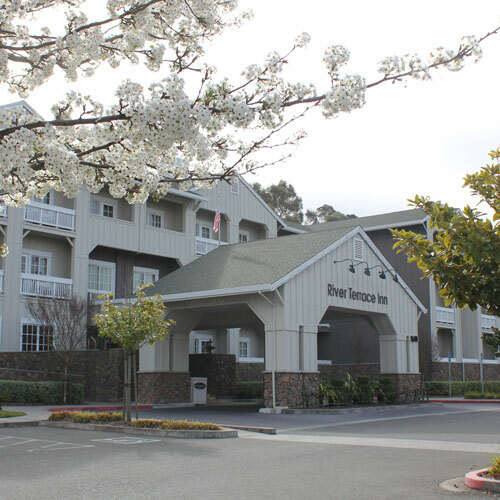 Great location right on the Napa River (right next to River Terrace Inn), walk a short distance to the Wine Train station or drive less than a minute and you are in the heart of downtown for restaurants and activities. Perfect for families, romantic getaways, and full service luxury. This isn't your normal Embassy Suites. Looking fancier than a moderate hotel has a right to, you might think that you're staying at some fancy resort instead of a budget friendly hotel. Inside the rooms have the same contemporary feel and the grounds are beautiful with a large pond and pool. This Embassy Suites is nice! Of course, you have to love any place that gives you unlimited free bacon, sausage, eggs, made to order omelets, the works. I like this even more now that many hotels no longer offer free coffee in the morning. Afternoon snacks and complimentary wine. Fancy enough for romance, a good pick for families with kids. 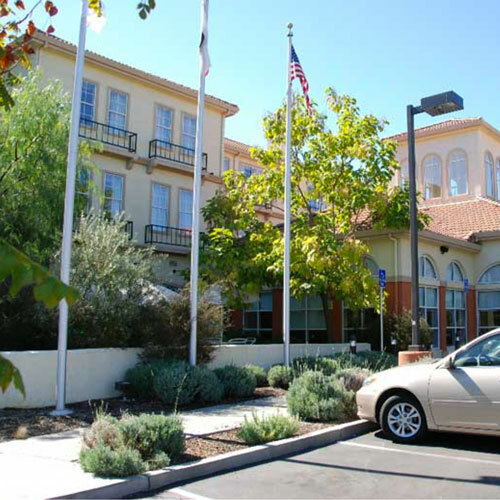 Located outside of downtown in a rural area, the Carneros Inn is like nothing you have most likely seen. Sitting on top of the rolling hills are 86 simple cottages reminiscent of the rancher's living quarters. Who knew that ranchers liked fine Italian bedding, romantic fireplaces and exotic outdoor showers? Though the cottages might look like Habitat Houses, rest assured that the setting is luxurious and decadent, the perfect antidote for those who spend way too much time in boring business hotels. 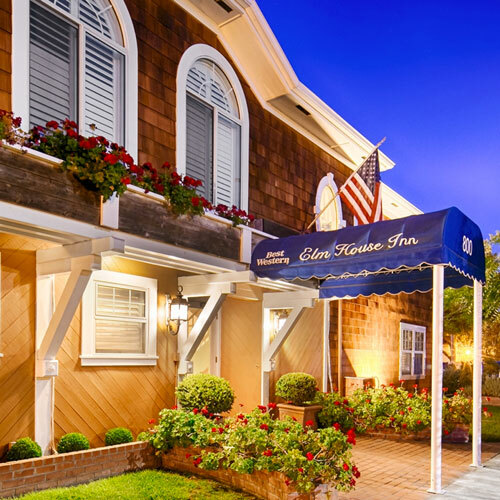 Fine dining on site, choose Carneros Inn for a honeymoon sort of occasion, a destination resort that might make you forget about leaving. Wine Tasting in Downtown Napa? Most first timers don't think of downtown Napa when it comes to wine tasting but there are actually almost 20 wine tasting rooms and bars in the area within walking distance. You don't need to be "on a budget" to see the value of a discount tasting card. The Downtown Tasting Card gets you into 8 wineries for free tastings. 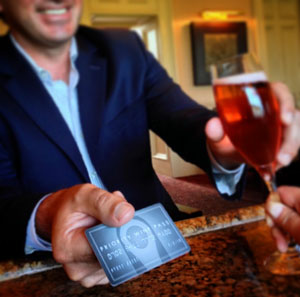 Better yet, the Priority Wine Pass gets you into 75 wineries all around Napa and Sonoma for discounts and two for one tastings. Use promo code localwally when ordering the Priority Wine Pass to get the lowest price guaranteed, just $39.99 per couple. Upscale contemporary hotel with top-end everything, a spa setting with loft style rooms and gorgeous baths. Deluxe! Best Western Elm House is a top budget pick. Free continental breakfast, feels more like a B&B than a budget motel. Hilton Garden Inn offers a clean bed in a good location. Decent rooms, small pool, nothing fancy but no complaints. Not your grandma's house, La Belle Epoque is a luxury B&B with gourmet breakfast and high end amenities. 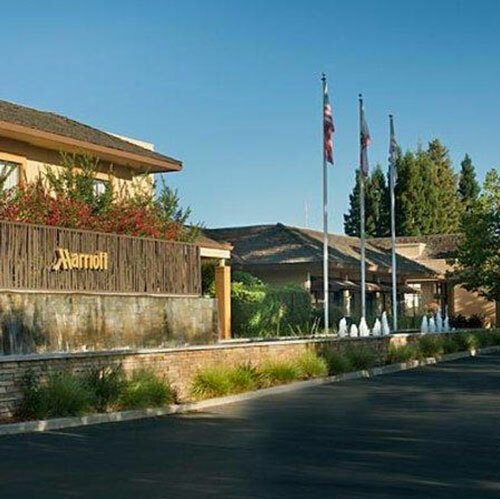 Marriott Napa tries hard to not look like a business hotel and mostly succeeds. Won't excite but doesn't disappoint. Resort with their own winery in the caves, full service resort spa. Get $40 to $180 off for Wine Pass members. 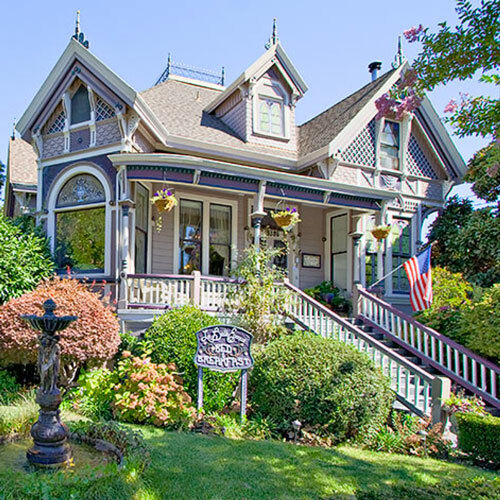 Beautifully restored Victorian Bed and Breakfast with homemade everything. Very old time feeling. 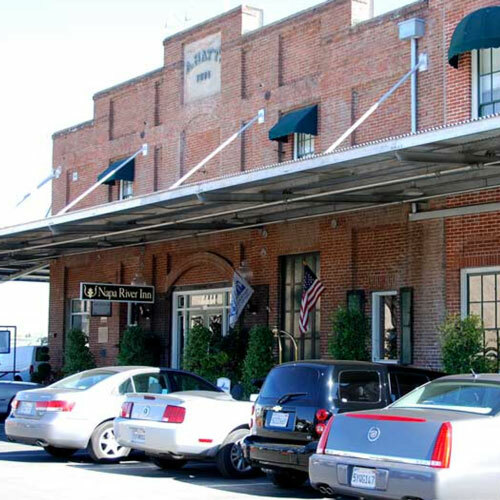 Vintage hotel in historic building, walk to dinner and other downtown attractions. Homey rooms, comfy setting. Looks like the country club from Caddyshack, complete with golf course and spa, restaurant, great location. Luxurious new hotel owned by the Hall Wine folks. Spacious rooms, fireplaces, top pick for romantic getaways. Love these guys, let them take you around Napa and Sonoma in the comfort of their vans. Small groups and fun drivers, it's the best way to see Napa without driving. Tell them Local Wally sent you! Barry from Napa Valley Wine Tours, aka Why Spit, drives you around in style to show you the best of Napa. Top pick!